The saga of this ill-fated Android device has come to an abrupt end - in a very expensive move, Samsung completely drops its latest Galaxy Note phablet. 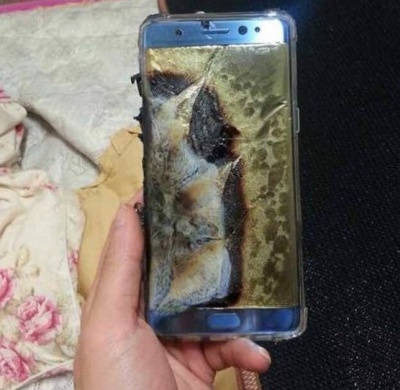 Yesterday, Samsung decided to stop production of the latest Galaxy Note phablet and investigate the battery-caused explosions of the replacement units that were supposed to be safe. While not entirely unexpected, it is still a bit surprising that Samsung has decided to completely withdraw this product from the market so quick. The decision is official, so there is no room for speculation. Earlier today, Samsung said the following in a filing with South Korean regulators: "Taking our customer’s safety as our highest priority, we have decided to halt sales and production of the Galaxy Note 7." Samsung expected to sell around 19 million Galaxy Note 7 units during the lifetime of the device, but now they have to cover the costs required to dispose of no less than 4 million phablets that appear to be ready to explode anytime. Looking back, the first Galaxy Note 7 recall had a projected cost of $1 billion and Samsung called that nothing less but a "heartbreaking amount." Now, the cost of its complete withdrawal is almost 20 times higher. However, the worst part of it all is that Samsung's brand image takes a serious hit and it might take a very long time to recover from that one.